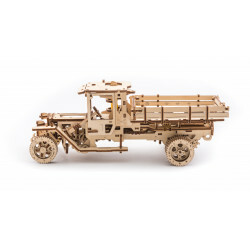 UGM-11 is the particularly detailed moving analog of a real truck. 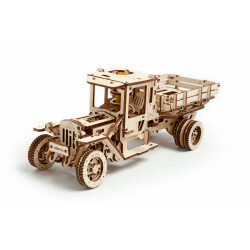 Assembling this model is an engrossing challenge. 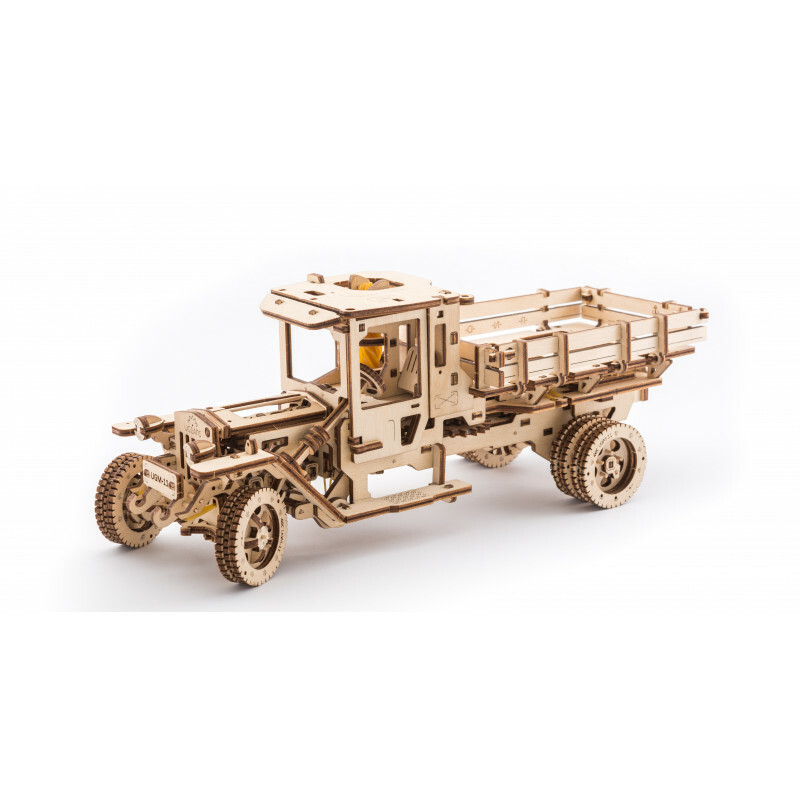 The truck is not as simple as it seems: you will spend approximately 10-12 hours to build it. 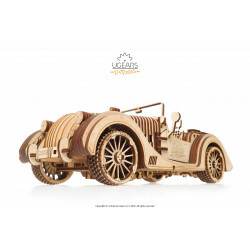 UGM-11 is a treasure for all people who are crazy about mechanics, steampunk and constructors. 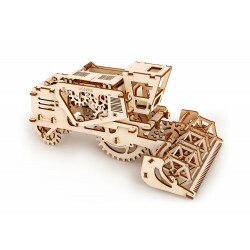 Ugears Models are the new generation of mechanical wooden puzzles. 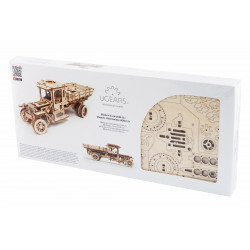 Ugears is more than the brand. 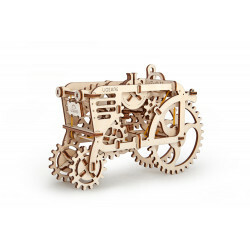 It is a philosophy, the new vision of mechanical constructors. 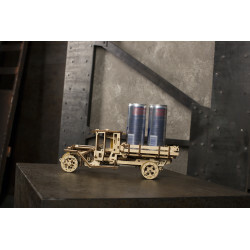 The main idea is to create full realistic moving models which can be built with your own hands. 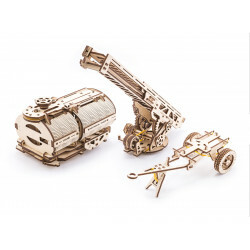 UGM-11 is one of the greatest examples represented the Ugears’ philosophy. 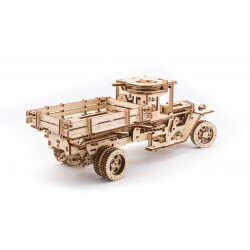 UGM-11 is the particularly detailed moving analog of a real truck. 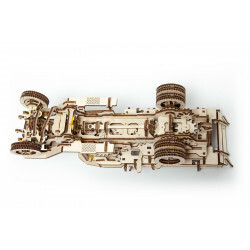 Assembling this model is an engrossing challenge. 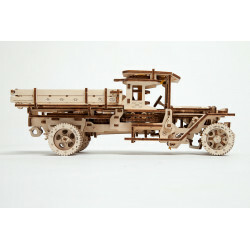 The truck is not as simple as it seems: you will spend approximately 10-12 hours to build it. 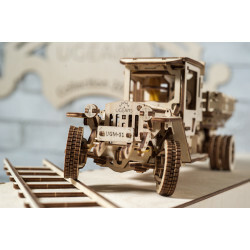 UGM-11 is a treasure for all people who are crazy about mechanics, steampunk and constructors. This model runs, shifts, steers and accelerates like a real truck. First ‘fuel up’ it by turning the lever on top of the cab. Then ‘start’ the engine with the shifter in ‘idle’ and see four pistons moving realistically under the folding hood. Open the cabin door to find a fully functioning steering wheel and even a working gas pedal! The truck has an independent suspension and an injector engine. The interior design strikes by its realism: the doors and hood can be opened and the gas pedal can be pressed changing the engine speed. 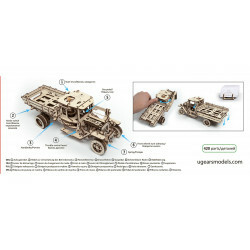 To start the truck you can use the key to spin the rubber motor or press the lever located on the roof of UGM-11. 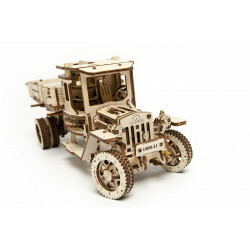 At one charge the truck is capable to move up to 5 meters.